"I have no hesitation to conclude that the evidence which has been laid and adduced and discussed and appreciated vividly, though the prosecution has tried, it failed to prove any politician-police nexus," Special CBI Judge SJ Sharma said. Though the prosecution "tried", it failed to prove any "politician-police" nexus in the alleged fake encounter case of Sohrabuddin Sheikh, his wife Kausar Bi and his aide Tulsiram Prajapati, a special CBI court had said while acquitting all the 22 accused on December 21. Special CBI Judge SJ Sharma had acquitted all the accused due to insufficient evidence while expressing sorrow over the loss of three lives. 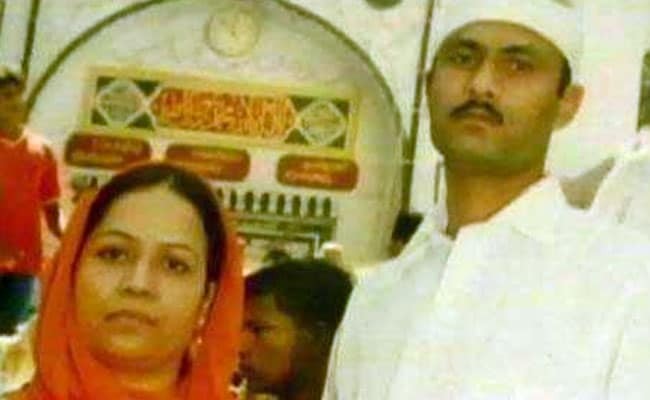 According to the CBI, the police officials were part of teams which abducted and killed Sohrabuddin Sheikh, his wife Kausar Bi and Tulsiram Prajapati in staged encounters. The three victims who were returning to Sangli in Maharashtra from Hyderabad in a bus were taken into custody by a police team on the intervening night of November 22-23, 2005. The couple was taken in one vehicle and Tulsiram Prajapati in another. The CBI had said Sohrabuddin Sheikh was killed on November 26, 2005, allegedly by a joint team of Gujarat and Rajasthan police, and Kausar Bi three days later. Tulsiram Prajapati, who was lodged in Udaipur Central Jail, was killed in an encounter on the Gujarat-Rajasthan border on December 27, 2006, the investigation agency had alleged. The court also noted that the prosecution had failed to prove that Tulsiram Prajapati was killed in a fake and staged encounter. It added that statements of witnesses on Tulsiram Prajapati escaping from the custody of Rajasthan police in December 2006 appeared "cogent and convincing". The CBI had charged 38 persons, including BJP chief Amit Shah, who was the then Gujarat home minister, Gulabchand Kataria, the then Rajasthan home minister, and senior IPS officers like DG Vanzara and PC Pande in the case. Amit Shah was arrested in the case in July 2010, but released on bail by the Gujarat High Court in October that year. He was discharged by the CBI court in December 2014.